The past never forgets in the intense and heart-pounding continuation of The Girl with the Dragon Tattoo Series. 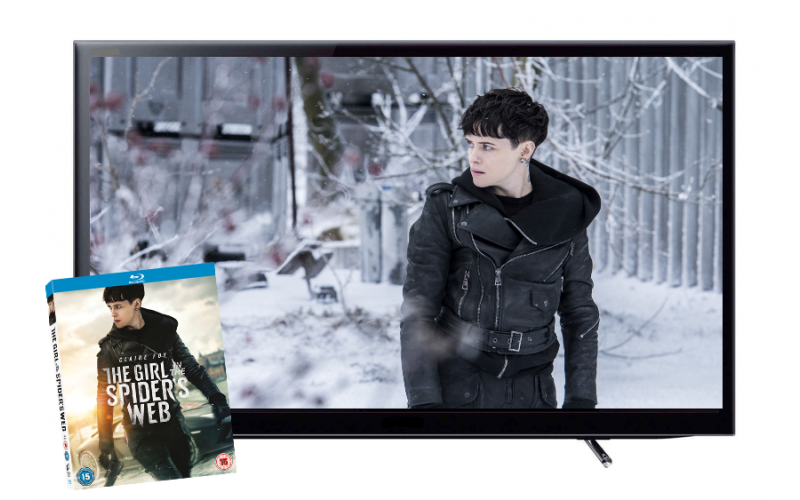 Golden Globe® and Emmy® winner Claire Foy brings to life the iconic role of Lisbeth Salander in the next exciting chapter THE GIRL IN THE SPIDER’S WEB, out now on Digital, DVD, Blu-ray™ and 4K Ultra HD from Sony Pictures Home Entertainment. To celebrate we're giving away a copy of THE GIRL IN THE SPIDERS WEB on Blu-ray and a Smart TV. 5 runners-up will get the movie on Blu-ray. Highly-skilled vigilant Salander and journalist Mikael Blomkvist find themselves caught in a web of spies, cybercriminals and corrupt government officials, as they race to rescue a dangerous program capable of global destruction held by shadowy figures linked to Lisbeth’s past. Director Fede Álvarez (Evil Dead; Don’t Breathe) brings insurmountable suspense and tension to the film adaptation of the fourth book of the acclaimed Millennium series to create a thrilling cinematic experience. © 2018 Columbia Pictures Industries, Inc., Metro-Goldwyn-Mayer Pictures Inc., Monarchy Enterprises S.a.r.l. and Regency Entertainment (USA), Inc. All Rights Reserved.